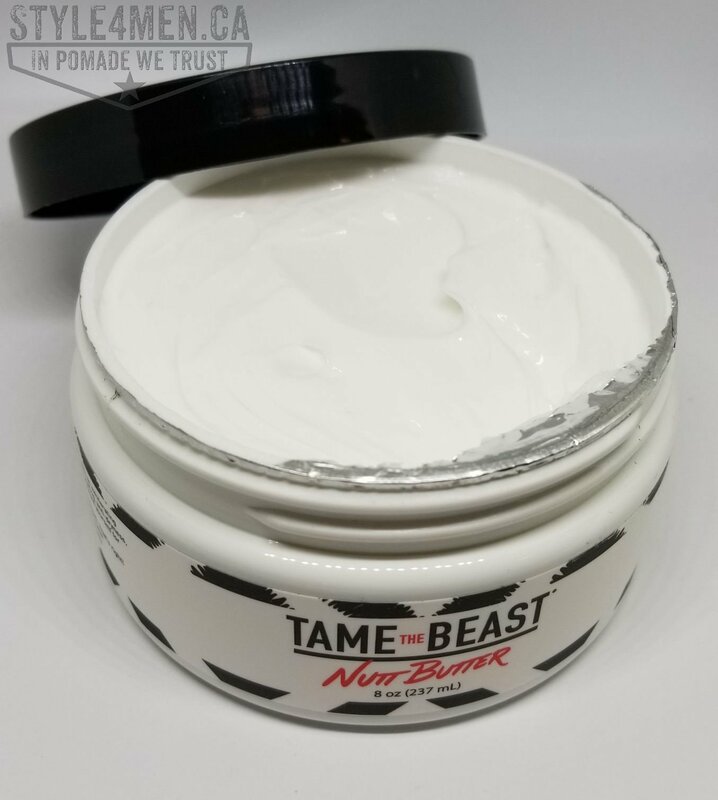 Trying a bit of an odd product today, the Nutt Butter from Tame the Beast. The premise is certainly interesting: bringing some comfort to your…well…nutts. Now that the shock or hysterical laughter is slowing. 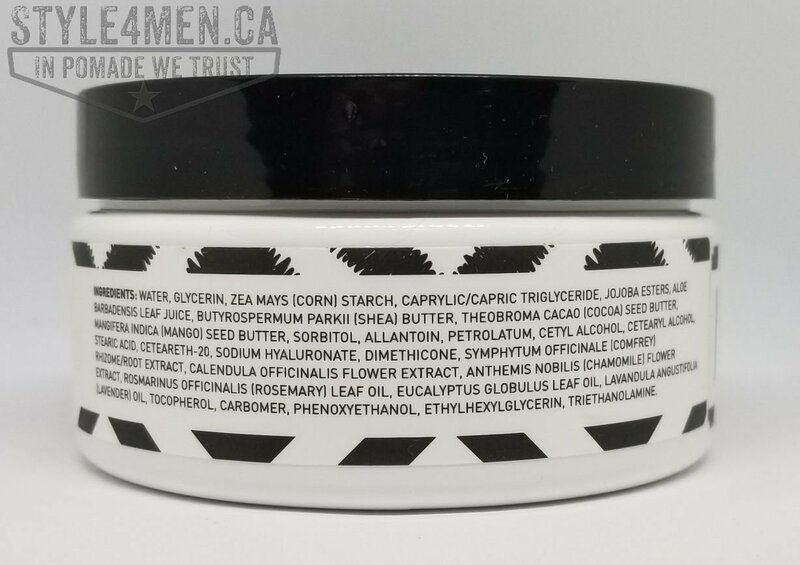 Why would Style4men.ca be trying such a product? Over the course of this project, I have rediscovered talcum powder and its benefits for managing sweat and chaffing in the “…” area. As an enthusiastic cyclist in my teens and young adult years, I was no stranger to baby powder to alleviate the chaffing that unavoidably occurred on the long rides. By the time my cycling days were replaced with other activities the talc powder also went along with dodo bird. With the “real’ transformation in our weather patterns and my being older, excessive heat and sweating has become a gentlemanly concern. This also coincided with the Barbershop revival and all things related, including talcum powder. And I rediscovered this simple yet effective way of managing heat and chaffing in the “…” area. Being a daily talcum powder user, I was naturally inclined or at the very least interested in similar products. Thus when the folks at Tame The Beast launched their Nutt Butter I told myself I would give it a try. 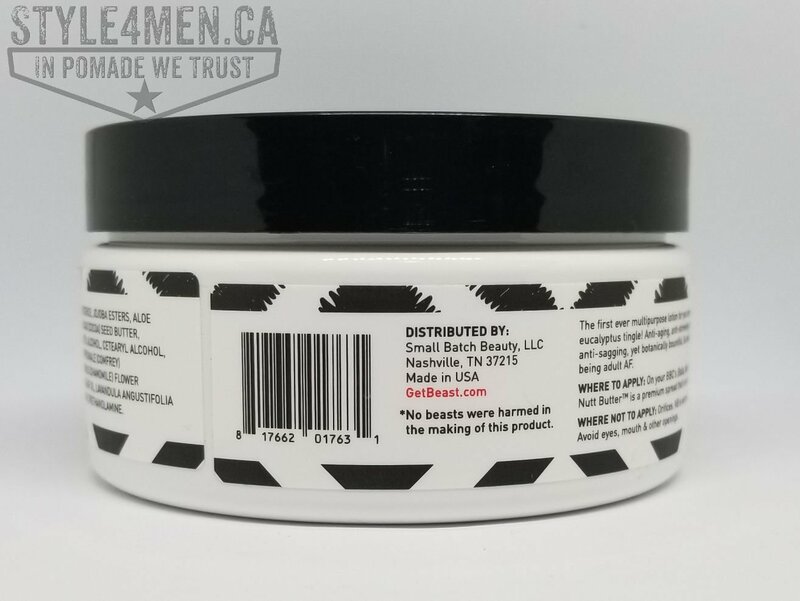 Having been impressed by their shampoo – read review here, it was a natural/normal move to try their Nutt Butter. 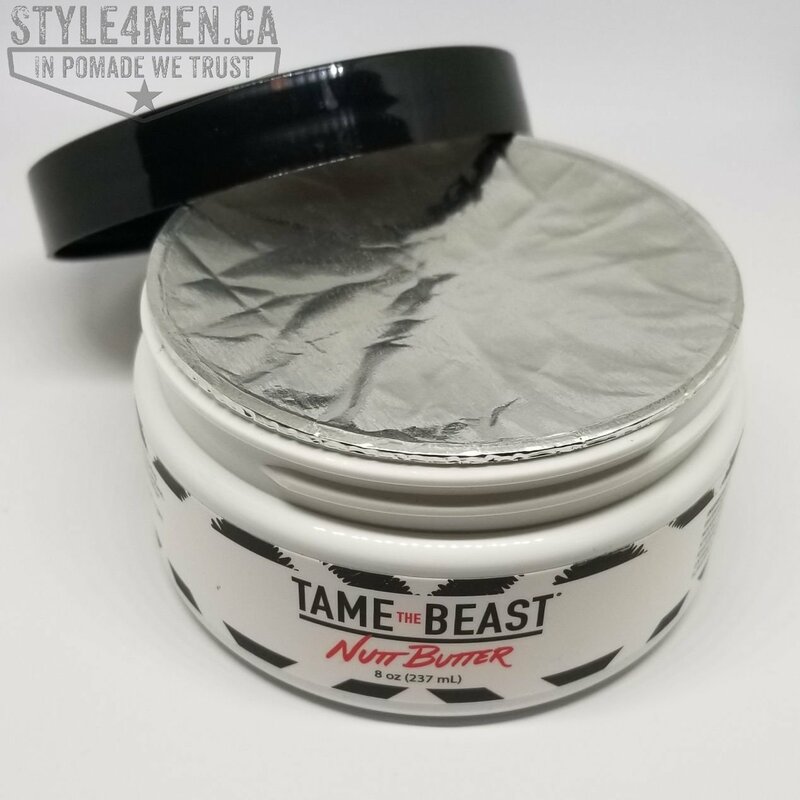 The folks at Tame The Beast run a very modern web site along with numerous promotions and enticements to make their products available to the world and I took advantage of one of their promotions. Go to Tame the Beast via this link and earn some “Beast Bucks”! Sorry for the long intro, but I figured the whole thing should be put in context first. Talcum powder has had bad publicity in the past as a result of some refinement issues, but this is essentially a non issues now-a-days. Talcum powder being somewhat of a neutral element, and by this I mean that it is not absorbed by the skin, nor does it trigger any cooling or warming sensation, etc.., we can basically state that using talcum is not a very adventurous proposition. 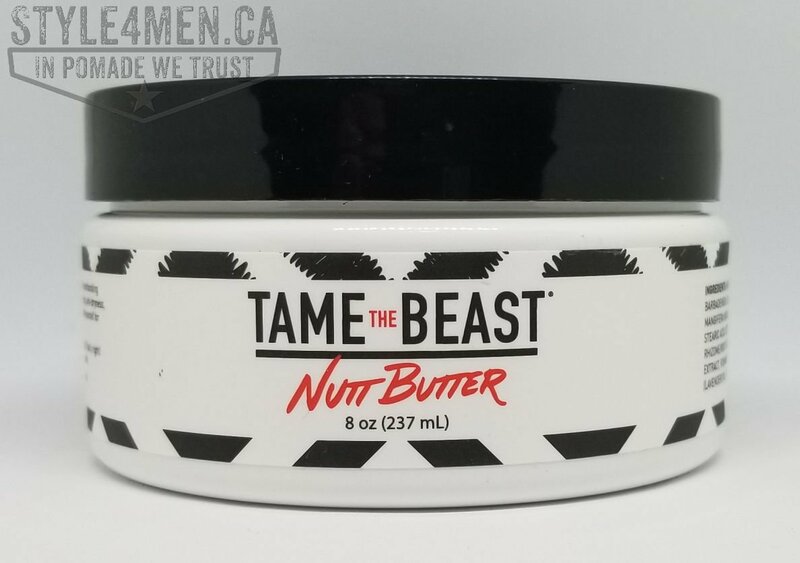 The Nutt Butter from Tame The Beast on the other hand is a cream and further to that there is also a promise of some tingling action. Not sure about you, but I am not necessarily willing to put just anything on my nutts. Nevertheless, in the true spirit of product testing – I tried it! First off this cream is safely packaged in a sealed jar. Once the metal foil is removed you find a thick white cream. Not knowing what kind of quantity to use I opted for moderation and scooped perhaps the size of a nickel. Gently the stuff was applied to the working area. Note that the jar states clearly that this is not for usage near any orifices. External usage only! That’s for you, so pay attention! On contact the cream is nice and does offer a slight tingled as well as an ever so discreet numbing sensation. We are now about 5 hours after application and everything is good and dry. No irritation. I can still feel a distant freshness, like menthol. Considering the multiple promises on the jar, I am a bit at a loss. From experience, no one product can be everything to everybody. 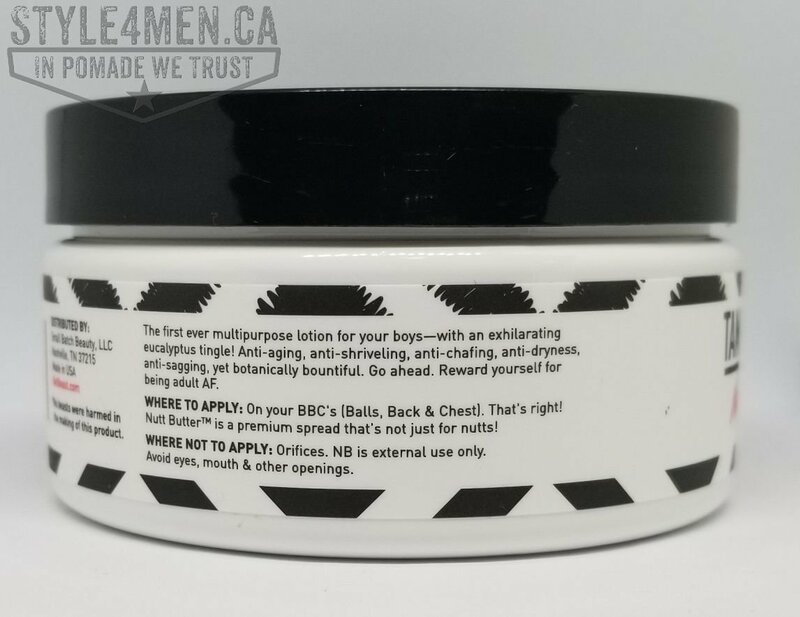 the main feature that attracted me to this product was the anti-chafing. but for that to be, moisture pretty much has to be removed from the equation. If the product is also offering anti-dryness, it would be pretty amazing for both situation to co-exist. In the end, I tried this product for 2 straight days and ultimately decided to go back to my trusted Suavecito talcum. Here is why: As for actual moisture/water absorption, I didn’t feel as dry as I do with talcum. I also didn’t enjoy the long running tingle. So this didn’t turn out to be a favorite, but Tame The Beast gets points anyways for pushing forward and innovating in a somewhat forgotten but crucial space. As far as I know, they really have no competition in this area.